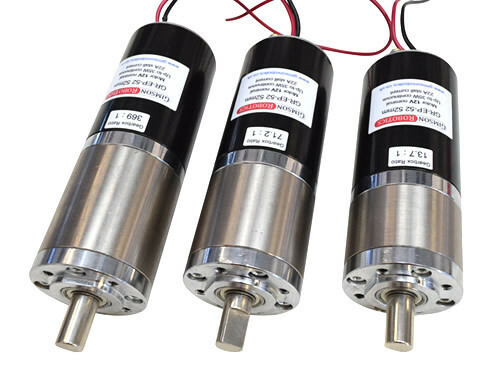 This power supply provides an easy-to-use way of operating larger electric motors and actuators from a mains AC power source. It is designed for operating from a UK (240V) or EU (230V) mains supply and is supplied with a 3-pin UK fused plug at the end of a 1.2m long input cable. The output lead, 1m long, has screw terminals at the end for connecting the load. 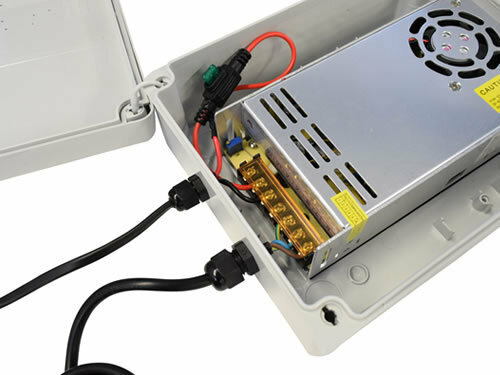 Unlike many power supplies that claim a similar output current this power supply is designed to be able to handle large short-term current spikes which are to be expected when operating inductive loads like electric motors and actuators. If you have a supply which keeps cutting out prematurely at below 30A load then you may find that replacing with this supply solves the problem. Bear in mind that the device should not be used in continuous output applications and has a duty cycle limit of 20%. It is intended for intermittent use, up to 2 minutes in a continuous stretch. 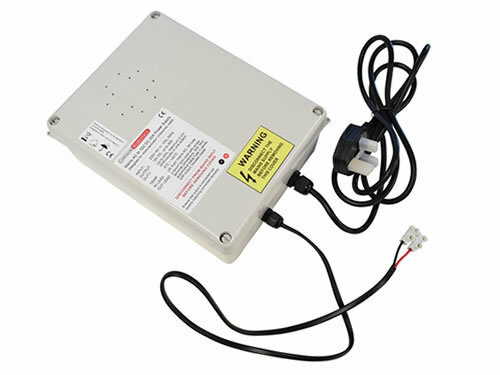 This mains adapter offers a higher-power alternative to our 12V 10A Power Supply, making it ideal for larger loads including running a GLA4000-S model actuator to its full capacity, or even operating two GLA4000-S actuators in tandem. 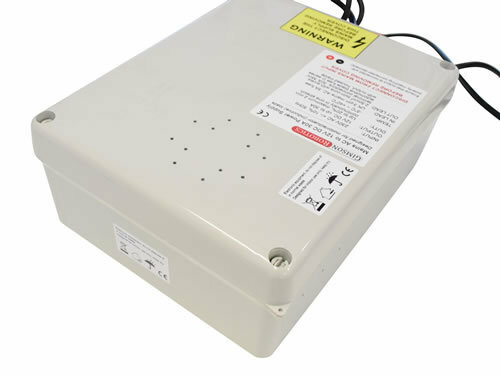 Bear in mind that the power supply has a built-in cooling fan, do not cover the ventilation holes around the enclosure or it may overheat. The duty cycle rating is to allow the device time to cool down after loading cycles. For indoor use only. Read below for detailed specifications.